Simple Do-it-Yourself installation in the privacy of your own home. Click HERE to see how easy it is. Stabil-Dent can not be applied to vinyl dentures such as Valplast® and Flexite®. 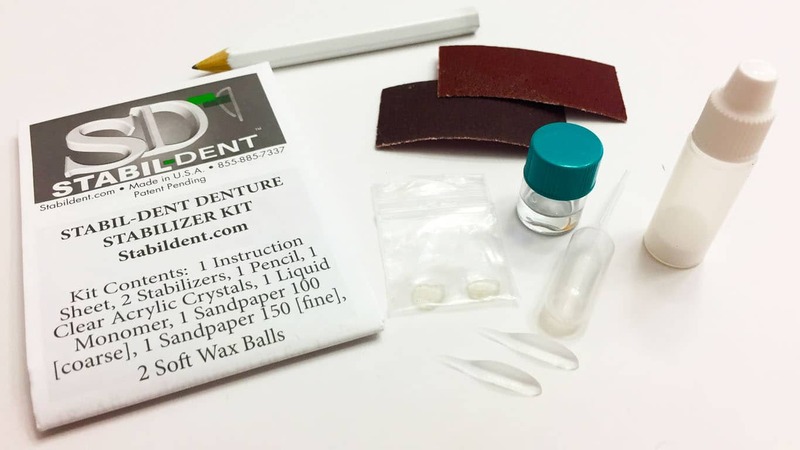 We will gladly install (kit included) Stabil-Dent Stabilizers on your lower denture for you and also modify or customize the Stabilizers to insure proper function with your denture. Simply order our Professional Installation and click HERE to ship your denture to us. 24-hour turnaround. United States Purchases Only. Please call for a brief consultation before purchasing our Professional Installation. 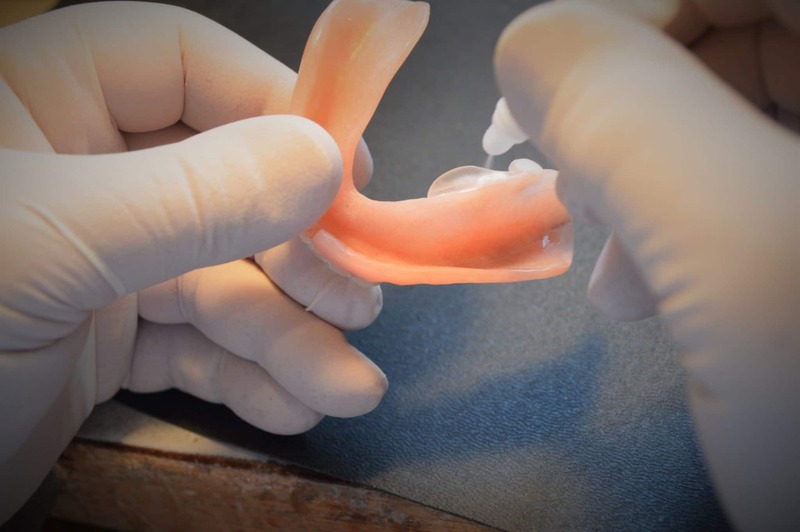 Do not use on Valplast Dentures or flexible dentures. Contains Methyl Methacrylates and Denture Monomer. Do not use if allergic or sensitive to Methacrylates. Do not use near fire or open flame. Apply in a well ventilated area.